6:30 AM -- We've just obtained video of the incident ... shot by the neighbor, who says Justin was definitely trespassing on his property during the attack. The video is dark, but you can hear the neighbor yelling, "I see you. I f**king see you!" Then Justin yells back, "F**k you! I got another one for you, actually!" They keep yelling back and forth for about 30 seconds, until the neighbor tells his 13-year-old daughter -- who sounds terrified -- to call the cops. By the way ... we're told Justin is now a suspect in a vandalism investigation. The police report calls it a misdemeanor, but the victim tells us the damage to his property far exceeds $400, which means this could easily become a FELONY. 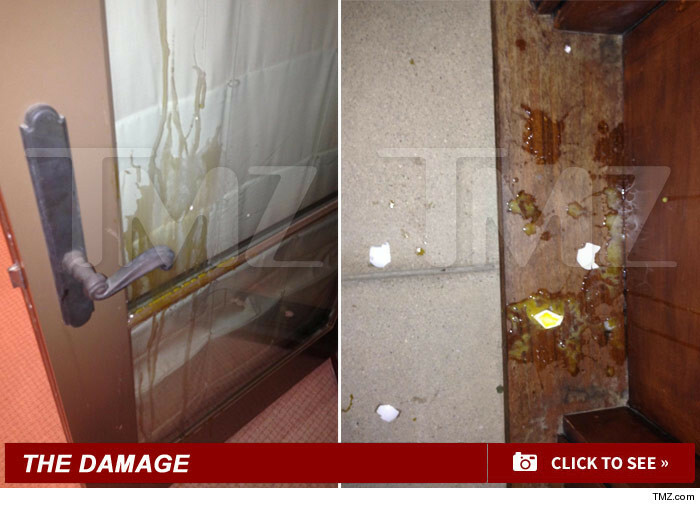 Justin Bieber launched an all out egg assault on his neighbor's home Thursday night -- and the L.A. County Sheriff was called to the scene while the eggs were still flying ... this according to the alleged victim. TMZ spoke to the neighbor who says he heard something banging against his house in Calabasas around 7:30 PM Thursday, and when he stepped on to a 2nd floor balcony ... he says he saw Justin down below hurling eggs at his front door. According to the neighbor ... Bieber started aiming for him once he stepped onto the balcony and yelled, "What the Hell are you doing?" Justin and the neighbor -- who've had previous run-ins -- also got into a verbal dispute while JB allegedly continued tossing a few more eggs at the house ... and then retreated back to his home. The neighbor immediately called the Sheriff's Department -- and believes his house was pelted with no less than 20 eggs. Law enforcement sources confirm deputies responded, and took an incident report from the neighbor. It's unclear, at this point, if they were able to speak to Justin. 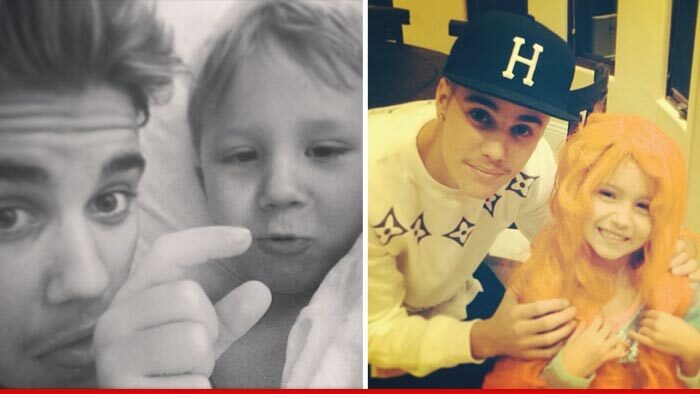 Calls to Bieber's reps were not immediately returned. And, in a shamefully obvious ploy to make himself look good, he posted these pictures of himself with his little brother and sister.